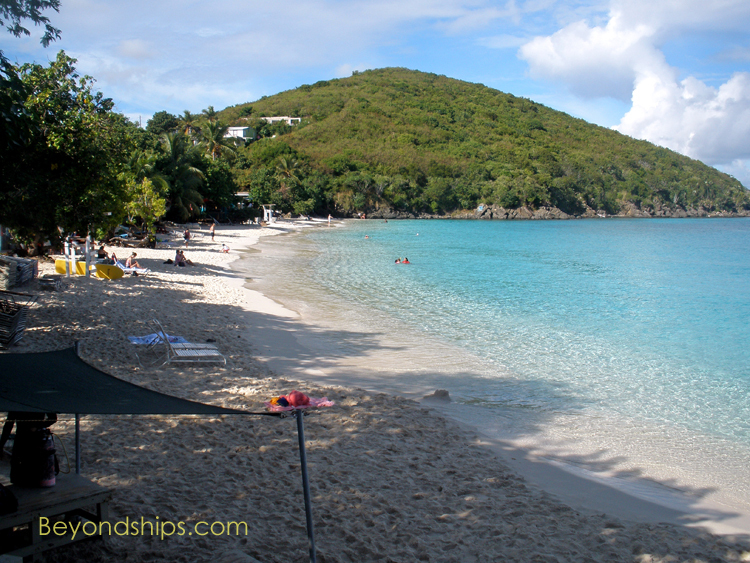 By some estimates St. Thomas has more than 30 beaches. All beaches on the island are public. However, the public area only extends up to the tree line. Beyond that can be private property. Clothing is required on all beaches. 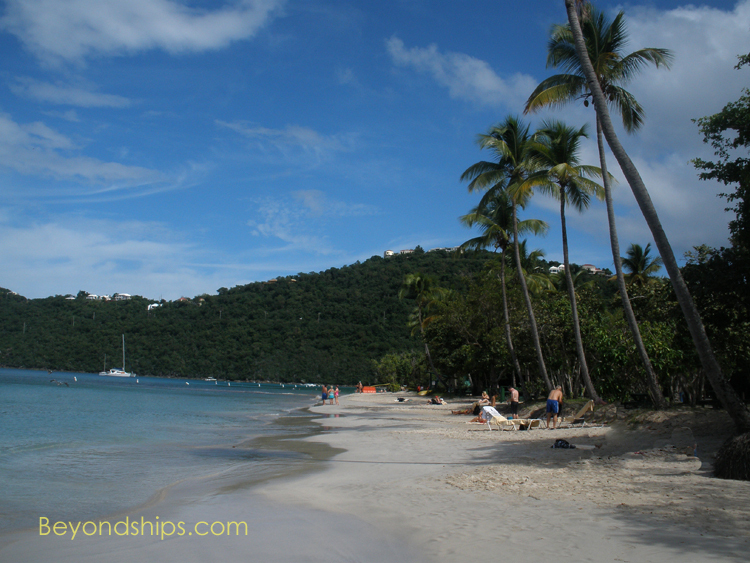 ​In considering beaches on St. Thomas, consider also that there are some spectacular beaches on the neighboring island of St. John, which can be reached independently by ferry or via shore excursions. 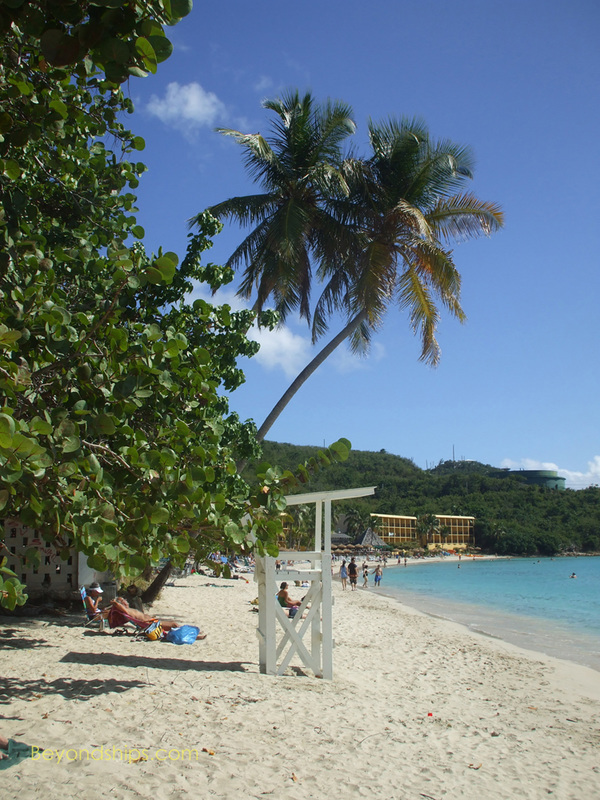 Magens Bay (pronounced so it sounds like Megan's Bay) is St. Thomas’ most famous beach. National Geographic Magazine has placed it in the top ten of the world’s most beautiful beaches. Sheltered from the sea, the waters are clam and clear. A mile of white sand beach is bordered by tall trees. The beach is part of a 64 acre public park that also includes coconut groves, mangroves and wetlands. The area near the beach has been developed in a way that does not intrude upon the area’s natural beauty. Picnic tables and bathhouses are sheltered in amongst the palm trees. The parking area is away from the beach and ringed by trees. The park has a nominal entry charge. 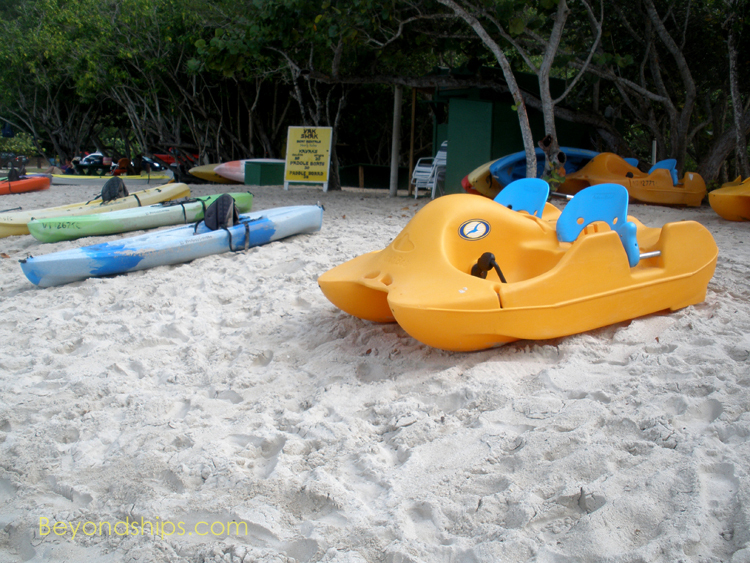 Visitors can also buy snacks and rent floats and various water sports equipment. 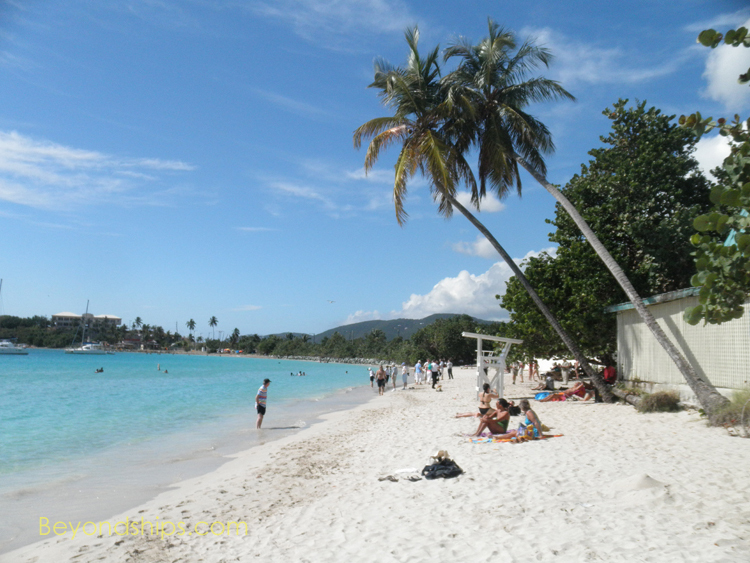 Because it is a famous beach Magens Bay is the beach destination of choice for many for many visitors. 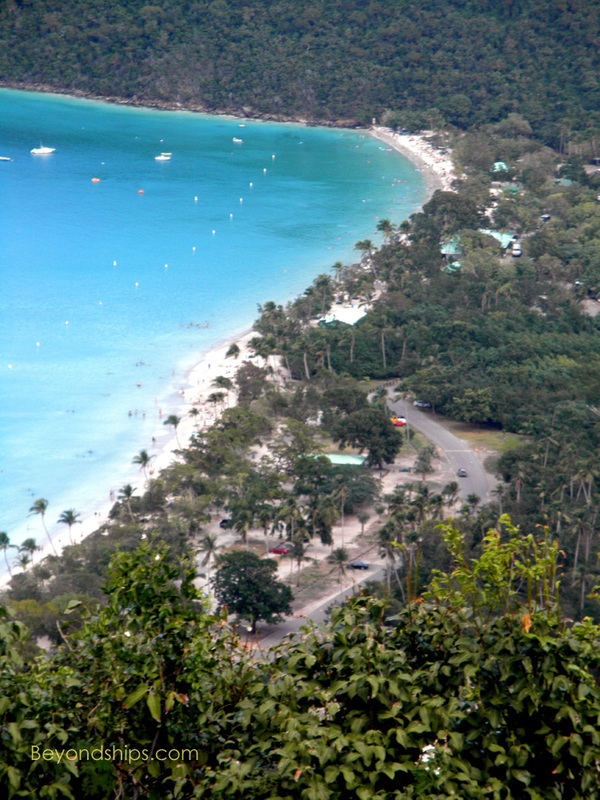 As a result, the beach can be crowded on days when there are several cruise ships calling in St. Thomas. Coki Beach is a relatively small beach adjacent to the Coral World Ocean Park. 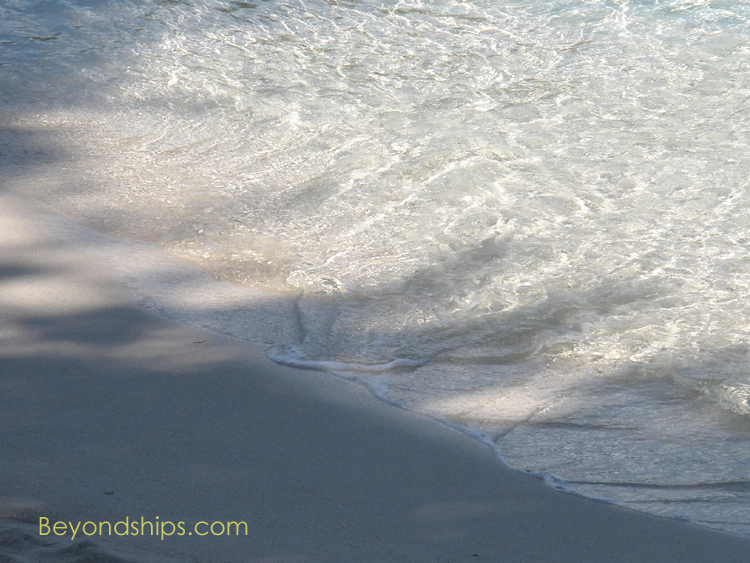 It is a naturally pretty beach with white sand and the occasional rock formation. This beach is known for its snorkeling and diving. Accordingly, there is a dive shop as well as places to rent snorkeling equipment. In 1928, Charles Lindbergh landed at an airfield on St. Thomas. In honor of the famous aviator’s visit, the area that had been known as Mosquito Bay became known as Lindbergh Bay. Today, the bay is a popular beach area. 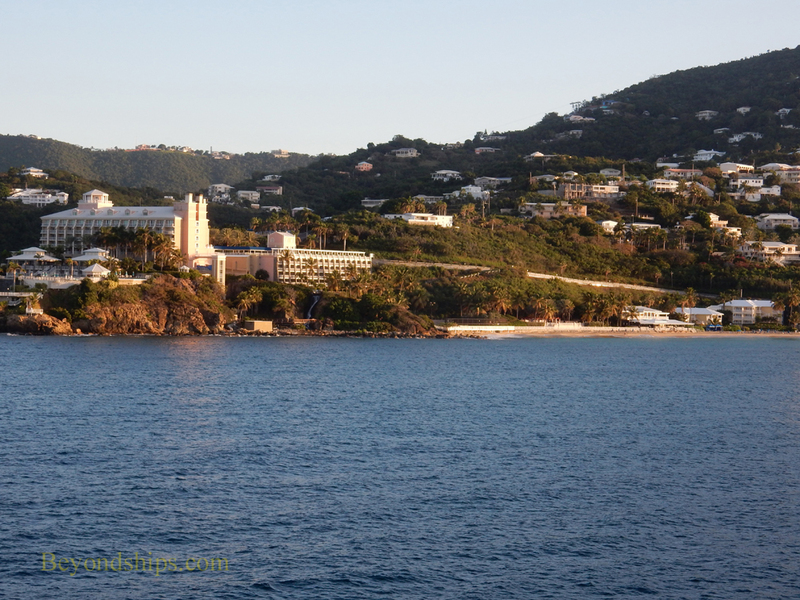 Although not as majestic as some of St. Thomas’ beaches, it has the advantage of being close to Charlotte Amalie on the south side of the island. Several hotels adjoin the beach. Cruise ships going to or leaving Havensight pass the Frenchman's Bay Beach (also known as Morning Star beach). 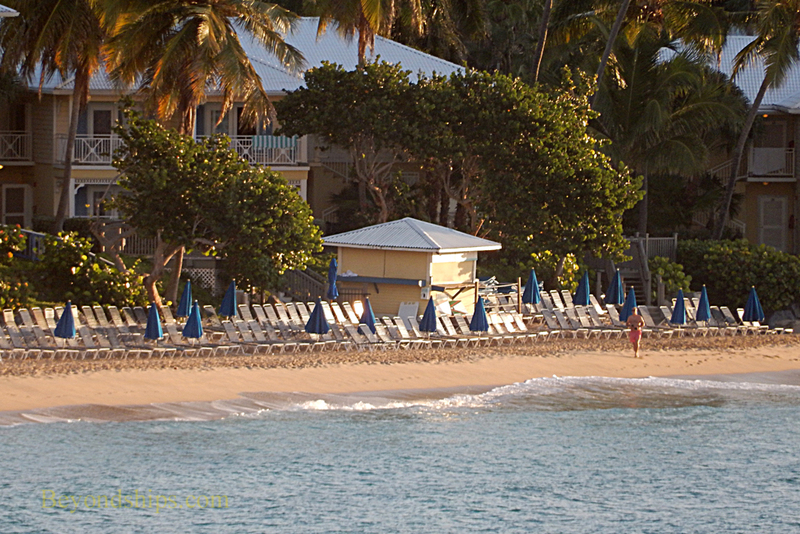 The beach is dominated by the nearby Marriott Beach Resort but like all beaches on St. Thomas, it is open to the public. This beach has a reputation for attracting the young and hip.